The following is excerpted from the January/February issue of Vineyard & Winery Management magazine. Indeed, many viticulture regions saw record heat, with Red Mountain accumulating more than 3,900 growing degree-days, and even cooler regions such as the Yakima Valley getting more than 3,150. Starting in February, temperatures were considerably above average, leading to an advancement of all markers of the growing season. “We saw some bud break at the end of March, which is very unusual,” said Marty Clubb, managing winemaker and co-owner of L’Ecole No. 41 in Lowden. The warm temperatures continued throughout the growing season, with most markers at least two to three weeks ahead of historical averages. Click here to read the rest of the Washington and Oregon 2015 harvest reports. 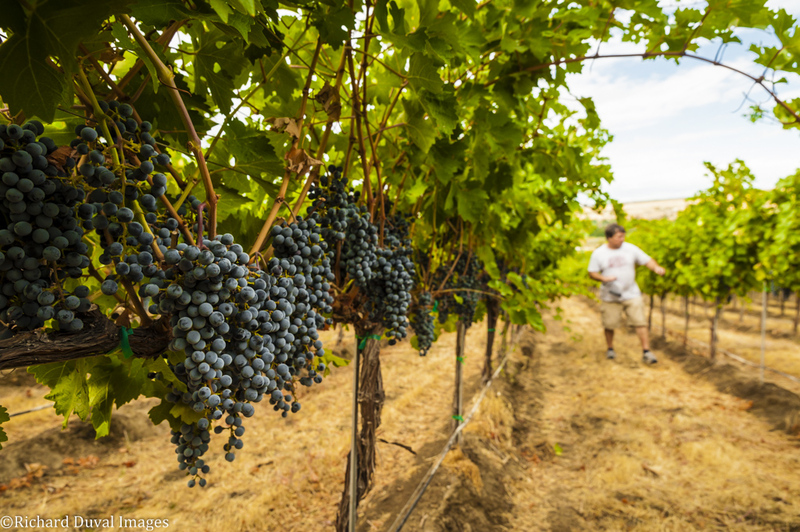 The 2015 growing season in Oregon was marked by warm conditions, a large set, and exceptional quality fruit.